My second attempt was a folding knife. I made this after attending a knife making class with Tim McCreight which really helped me to understand how to work with steel. The metal clay element was textured using thick slip and a cocktail stick – my favourite texture. The knife is 5.5 cms long folded. This project was well received and scored well. 9 out of 10 – I was very happy with that. The comments compared the two submissions, “Unlike the first piece, this uses the steel and silver for the specific qualities of each. 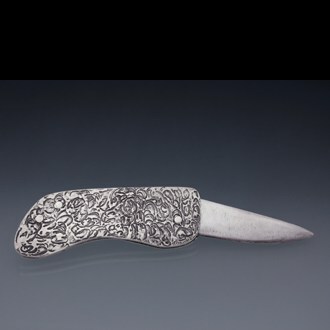 In addition, this piece demonstrates the ability to work with (and control) both metals.” I really love this little knife. 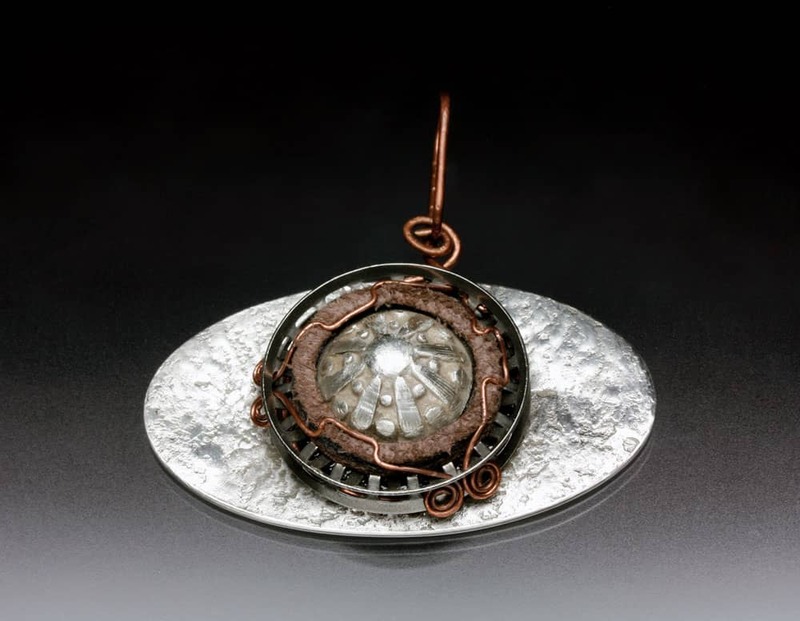 Create a functional or wearable object that combines metal clay with any form of steel (stainless, carbon, etc.). This can be fashioned by the artist or derived from a commercial product. Examples would include a handmade knife blade, a commercial washer, or a remnant from a machine.